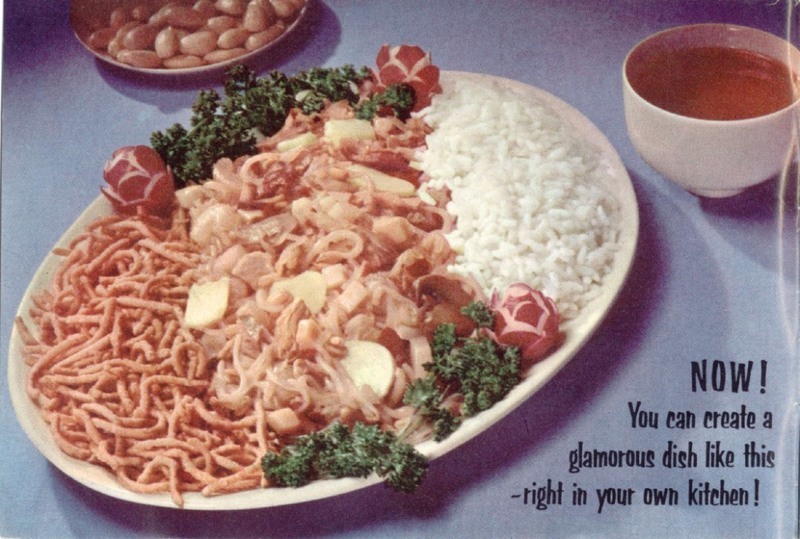 Why is it that so much of the 1950s/1960s food looks like vomit? I And what are those curly things at the left? They look alive. Regardless of what the caption says: Don’t try to do this at home!